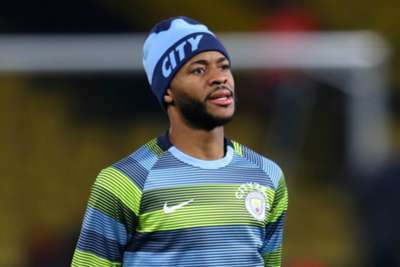 Kick It Out chair Lord Herman Ouseley has called on football authorities to stamp out racism after Manchester City star Raheem Sterling was allegedly targeted by abuse during a Premier League game at Chelsea. Chelsea and the Metropolitan Police have launched investigations in order to establish whether Sterling was racially abused in the incident, which saw the forward berated at close quarters as he retrieved the ball, with the club vowing to take the "strongest possible action where necessary". The England international addressed the incident in a social media post where he suggested the way the media covers white and black players in different ways helps to "fuel racism". And Kick It Out, an inclusion and equality organisation, released a statement on the matter, in which they questioned why Football Association (FA) chairman Greg Clarke, Chelsea chairman Bruce Buck and Premier League head Richard Scudamore had not spoken out after the game at Stamford Bridge. "What happened at Chelsea shows what is still going on in football," the statement read. "Where is Richard Scudamore? Where is Greg Clarke? Where is Chelsea's chairman [Bruce Buck]? They should have been talking about [the Sterling incident] last night and it has to be dealt with at the top. "We do not have any leadership at the top of the game to speak out, they rely on Kick It Out. We have already made comments about the way Raheem Sterling has been treated differently by the media. The print media often targets, not just black players, but all footballers. "Raheem Sterling has received bad press over the last few years because of his lifestyle, and clearly, there are issues from potential stories adding to prejudice and I have every sympathy for him. "Players know if they are abused in any way they have to tell the referee. It was awful. All players know the referee is in charge and has a duty of care, and the referee can remove those people. It didn't appear to me he told the referee in the first place." [1/2] FA statement on the alleged incident of discrimination during the Chelsea v Manchester City match: "We take all allegations of discrimination extremely seriously and will work with the clubs and the relevant authorities to ensure this matter is dealt with appropriately. [2/2] "We strongly condemn all forms of discrimination and encourage all fans and participants who believe that they have been the subject of, or witness to, discriminatory abuse to report it through the appropriate channels: The FA, our County FAs or our partners Kick It Out." Following the Kick It Out statement, the FA released a response to the Sterling incident on social media. "We take all allegations of discrimination extremely seriously and will work with the clubs and the relevant authorities to ensure this matter is dealt with appropriately," their statement said. Sterling highlighted in an Instagram post the different media coverage of Manchester City team-mates Tosin Adarabioyo and Phil Foden after the duo purchased houses. "I am not normally the person to talk a lot but when I think I need my point to [be] heard I will speak up," Sterling wrote. "Regarding what was said at the Chelsea game [the alleged racist abuse], as you can see by my reaction I just had to laugh because I don't expect no better. "For example you have two young players starting out their careers. Both play for the same team, both have done the right thing which is buy a new house for their mothers who have put in a lot of time and love into helping them get where they are. "But look how the newspapers get their message across for the young black player and then for the young white player. I think this is unacceptable, both innocent, have not done a thing wrong but just by the way it has been worded. "This young black kid is looked at in a bad light. Which helps fuel racism and aggressive behaviour, so for all the newspapers that don't understand why people are racist in this day and age all I have to say is have a second thought about fair publicity and give all players an equal chance." Kick It Out research recently revealed the number of reports of discriminatory abuse in English football had risen for the sixth year in a row. The organisation's annual report showed the number of incidents increased by 11 per cent from last year, with racism constituting 53 per cent of the cases in the 2017-18 season, up 22 per cent from the previous campaign.